Money makes the world go around. But when it comes to relationships, it can sometimes stop them in their tracks. 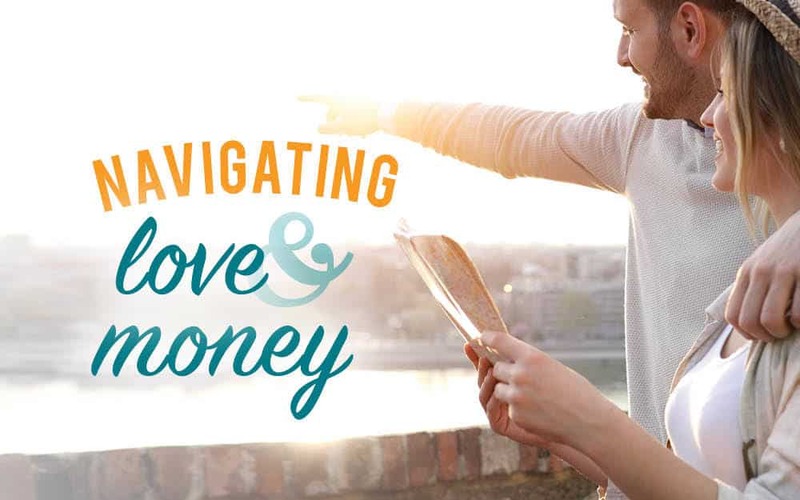 Navigating love and money can be tricky, but it’s simpler when you learn to communicate about finances in an open and transparent manner. Sometimes easier said than done, we know, but with a few simple tools you could end up reaching your mutual goals sooner and finding more fulfilment in your relationship. We’re conditioned as children not to talk about money. It’s rude to ask someone’s salary, and unbecoming to whinge about finances. There’s often good reason for keeping mum around friends and acquaintances, but in intimate relationships, things are a little different. Being transparent about finances with your partner in general leads to better outcomes. Shaking habits we’ve learned as kids can be difficult, but getting used to communicating about money is well worth it in the long term. Talk about how you were raised and what informs your attitudes towards money. Chances are your relationship to money either mirrors your parents or is a rebellion against either their perceived thrift or carelessness. Budgets, like new exercise regimes, work best when you have someone to hold you accountable. That said, when it all just becomes about numbers on a spreadsheet and saving every last penny, things can start to look a bit bleak. Try instead to reframe the conversation. Chances are you and your partner are together because you share the same tastes and values. Logically then you might have similar dreams. Talk about your goals together and use them as your focus in money talks. It’s much more attractive than scrimping for scrimping’s sake. Similarly, if you both have debt, you can make it a team effort to pay it down. There’s nothing so unifying as a mutual nemesis. Money is an ever-present force in our lives and the sooner you have ‘the chat’ the better. Okay… so maybe not your first date. But in any relationship, there are a series of milestones which present an opportunity for the talk. If it’s early days, the first joint holiday, moving in together, or opening a shared account are all good times to start the dialogue. Or, if you’re already well into your partnership, buying a house, saving for your children’s education and preparing for retirement might prompt a chat. And it’s not a conversation you only have once and then forget. Endeavour to make time to touch base on a regular basis—once a month is a good starting point. This will allow you to check in regularly rather than only dealing with differences in approach at times of financial emergency. Remember too that just because a particular savings method works for you doesn’t mean it will necessarily work for your partner. Empathise with what informs their approach towards money and use this knowledge to shape budget plans. And don’t fret if you’re in a long-term relationship and you still haven’t quite got the money talk down pat. It’s a conversation that changes over a lifetime as your goals, expectations and circumstances change. However, if money is becoming a source of resentment in your relationship, remember it’s never too late to open up the dialogue. At the end of the day, we will all experience conflict over money at some point in our life, but by making financial communication a regular and comfortable thing, you’ll likely deescalate these situations before they blow out of control. If you and your partner would like to talk about your joint financial goals, give us a call.